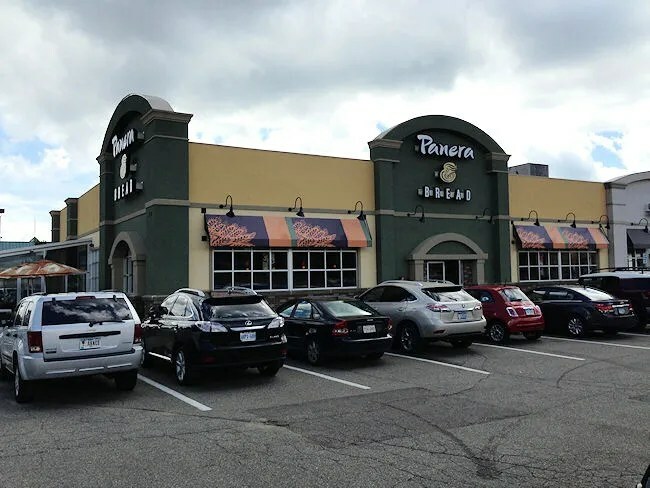 Panera Bread – Oshtemo Twp. Well, this is embarrassing. I just realized that I’ve never blogged about a restaurant that I eat at often close to home. J and I took L downtown again this morning to the Epic Theater for another installment of the Fontana Chamber Arts Crybaby Concert series. Afterwards, we wanted to pick something up for lunch and I started driving down West Main back towards Oshtemo. J asked if Panera would work. Of course it would work. 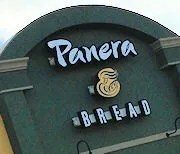 The Panera Bread in Oshtemo Township is right near the intersection of West Main and Drake in front of the Kohls. I really, really hate the parking lot at this particular cluster of shopping centers. The easiest way to get in to the Panera is to stay on West Main and go in through the Shell gas station. That stupid freaking corner shopping center that isn’t quite connected to the rest of parking lot complicates things. Surprisingly, the parking lot was not packed even though it was right around noon. I don’t think I’ve ever been to a Panera Bread anywhere that didn’t have a line almost out the door. There was only two people in front of us when we got in line. J and I pretty much always stick to the same thing whenever we go to Panera, but I still took time to look over the menu. They keep adding interesting items to the menu and I always consider trying something different, but I really like my go-to sandwich. That go-to is the Chipotle Chicken which is on the Signature Panini section of the menu. The French bread is stuffed with grilled chicken breast, applewood smoked bacon, cheddar cheese, tomatoes, and an ancho chipotle spread. The only thing I take off is the tomatoes. I actually really like the spread which I’m assuming is mayo based, but the ancho chipotle part of it masks that flavor and makes the sandwich just a bit spicy. 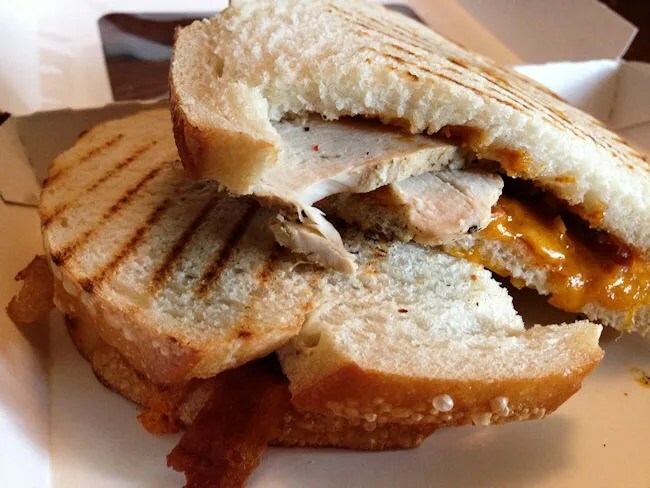 The other thing about the sandwiches at Panera that really make it stand out is the bread. 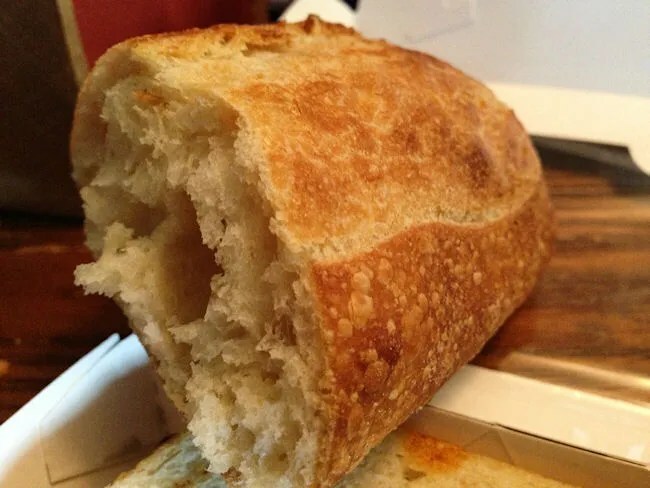 The French bread has a nice crispy crust and soft interior. The typical side is a bag of kettle chips which I usually get, but this time I asked for the baguette instead. I love the French baguette from Panera and I usually end up trying to steal J’s. It has a really crispy outer crust and that soft, airy interior. Delicious. J usually sticks to a salad and this time ordered the Strawberry Poppyseed and Chicken Salad. 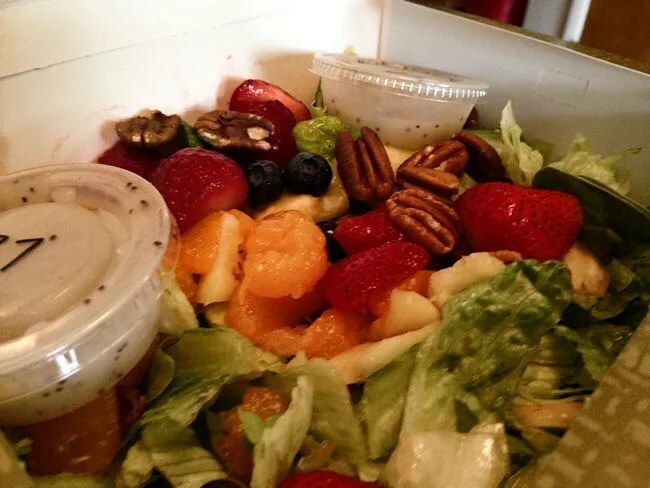 The romaine lettuce is topped with strawberries, blueberries, pineapple, pecans and Mandarin oranges with a poppyseed dressing. This used to be the salad she looked forward to every summer, so I was surprised to hear her say that she’s actually starting to prefer a similar salad from Wendy’s to this. She still enjoys this salad and orders it all summer long. For her side, she also got the French baguette..which I didn’t have to steal this time. For L, we order the kids Mac & Cheese. This creamy creation is one that L really likes. 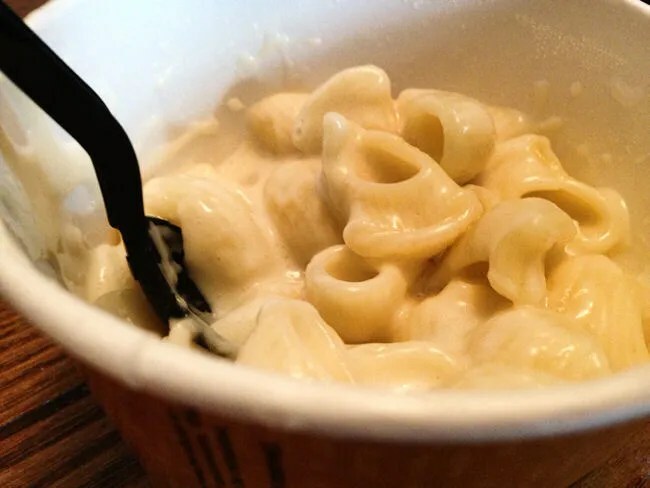 The shell pasta is covered with a delicious white cheddar cheese sauce. As a side for the kids meal, L got an organic tube of yogurt which she got very upset with when it was gone. We each added on drinks. I got a Pepsi and J got some kind of fruity iced drink. We also tagged on two cookies for an extra $.99. I got a chocolate chip and J got a M & M’s. I left mine at home when I went to work and J and L split it after dinner, so I didn’t even get to try it. The bill for our meal was just under $30. Panera Bread is always a great alternative to greasy burger fast food. We eat at this Panera quite often when neither of us can think of what we want for a meal.